The St. Vincent-St. Mary Athletic Booster Club supports our athletic programs by assisting in covering the expenses that are realized for team banquets, trophies, facilities improvements, equipment and other costs that are not covered by school allocated budgets. With your membership, you will receive monthly updates, voting rights, recognition in Fall/Winter sports programs, notification of club meeting dates and more! The efforts of our members not only support and raise funds for our athletic programs, but also build friendships that last a lifetime. Join Today! Join Today! All Are Welcome! 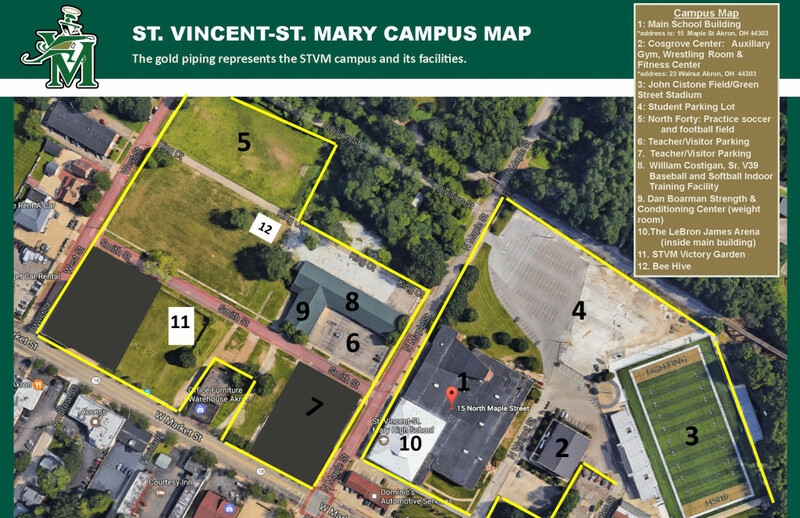 The St. Vincent-St. Mary Athletic Booster Club supports our athletic programs by assisting in covering the expenses associated with team banquets, trophies, facilities improvements, equipment and other costs that are not covered by school allocated budgets. With your membership, you will receive monthly updates, voting rights, recognition in the STVM website and the Fall Sports Program, notification of club meeting dates and more! The efforts of our members not only support and raise funds for our athletic programs, but also build friendships that last a lifetime.